The move into cooler seasons brings with it an unwanted guest – the sheep louse. Winter is the time the population increases, causing discomfort to sheep and warranting a preventative treatment programme by the farmer. in New Zealand, we need to ensure we are approaching the issue in a sustainable manner. Efficacy requires a switch to other actives for consecutive treatments as treating repeatedly with a chemical from the same chemical group (even if it is a different active ingredient) exerts pressure for the selection of resistance. If you are experiencing sub-par performance with lice-kill treatment, then it would be wise to have this thoroughly investigated. Treat the infestation in the ewe and then the residual lice that pass from ewe to lamb. Lambs should be treated as soon as possible, preferably at weaning. Where treating for flystrike, a product that kills both fly and lice can be applied. For flocks with a history of recurring louse problems, consider a follow-up approach with a specific louse control product. Apply chemical strictly according to label directions and ensure the dose rate is correct, as it’s critical that effective levels of chemical are applied all over the sheep’s body. Poor application technique can leave areas with little or no chemical in the fleece, allowing more resistant lice to survive and breed. If sheep are not wet properly in plunge dips, areas of low chemical concentration can allow more resistant lice to survive. 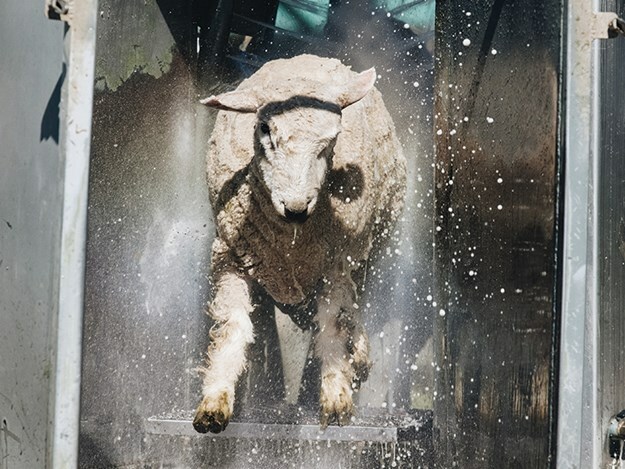 Shower dips need to be functioning properly and sheep must be left in the dip for long enough to ensure they are wet to the skin. Depending on the product chosen, the best time to treat sheep for lice is ‘off-shears’ (i.e. within the first 24 hours after shearing for pour-ons) or in ‘short wool’ (i.e. from two to six weeks after shearing). The longer post-shearing interval should apply only to saturation dipping methods. Remember that the rule is one minute in the shower for every week of wool growth. Anything longer than six weeks’ wool growth makes dipping potentially less effective. Avoid using long wool treatments where possible. Treating lousy sheep with long wool is most likely to compound the problem as dip chemicals may not reach all parts of the sheep, allowing more resistant lice to survive and breed. Where a long wool treatment has been used, ensure that a chemical from a different group is used after the next shearing. Using a chemical from a different group maximises the chance of killing any potentially resistant lice left alive by the long wool treatment. Control options include fast-acting pesticides (usually nerve poisons) and slow-acting pesticides such as insect growth regulators. In both cases, lice must come into contact with and/or ingest the compound to be affected. Formulation type can influence the rate at which pesticides control lice. For example, even though fast-acting pesticides such as pyrethroids, neonicotinoids, and organophosphates can kill lice within a few hours of contact, when applied as a backline up to six weeks may be required for the pesticide to spread over the sheep and kill lice. Slow-acting Insect Growth Regulators (IGRs), such as diflubenzuron and triflumuron, interfere with the production of chitin and insect growth and development. Chitin is the compound insects use to make their exoskeleton. These chemicals work to eliminate louse infestations over many weeks, interfering with insect moulting and thereby preventing development and viable egg production. As adult lice do not moult, they are not killed by IGRs and it can take up to 18 weeks for all adult lice to die. Eggs present at the time of treatment are also not affected. any lice present to the same chemicals. 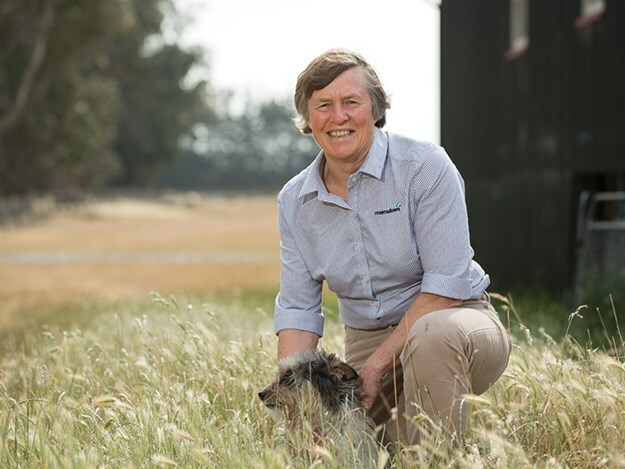 when treating for flystrike and lice in the same year and to consider choice of flystrike chemicals when determining a resistance management plan. The two main chemicals used for flystrike control, cyromazine, and dicyclanil do not have any effect against lice, and, therefore, will not contribute to selection resistance in lice.